Lately I’ve been reading The Astaires: Fred and Adele by Kathleen Riley. I knew a little about Fred Astaire’s career with Ginger Rogers before starting this book, but I didn’t really know anything about his successful stage career with his older sister, Adele. In many respects, it seems like the critics really considered Adele to be the true star of the duo, not Fred. Adele attracted many admirers and fans, including the expressionist painter Oskar Kokoschka. While visiting London, Kokoschka met Adele backstage and asked if he could paint her portrait. She agreed and twice a week, for two months, Adele went to Kokoschka’s studio for sittings. However, the painter and the dancer did not get along well. 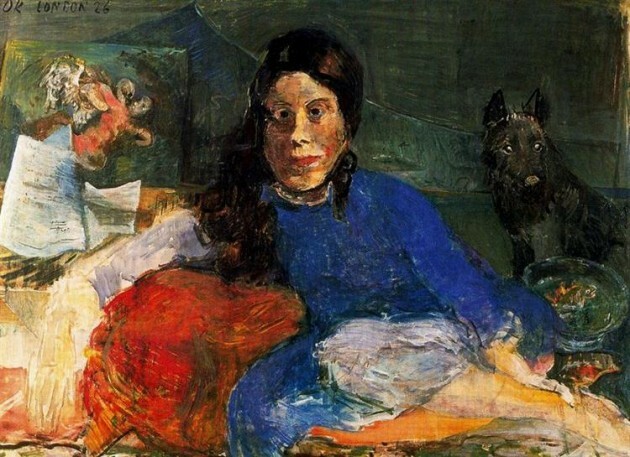 Adele “disliked Kokoschka’s lascivious manner and resented his refusal to let her see the work in progress.”1 She disliked the finished portrait (which she finally saw years later! ), and frankly, with the disproportion of the figure’s facial features and head, I can see why. The balloony head lacks the intensity and immediacy that is found in some of Kokoschka’s other portraits. Oskar Kokoschka, “Adele Astaire,” 1926. Open sheet music and a piano are located on the left side of the painting, next to Adele.2 She also is flanked by her Aberdeen Scottish terrier on the right and an image of Leda and the Swan on the left. I can’t find out why Kokoschka specifically would have included Leda within this image: perhaps this was a way to suggest Adele as a desirable, or perhaps Kokoschka liked this subject matter (since his does return to it at least one other time in his career). With your permission, I’d like to give my opinion of the Kokoschka picture of my sister (mentioned in the May 5th Art section). I think it’s a hideous mess. As great an artist as this man may be today, he certainly goofed in 1926. My sister is a very pretty girl. 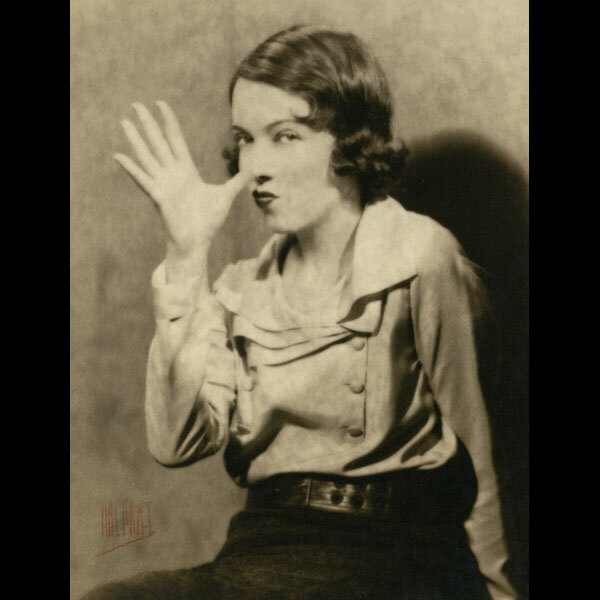 Adele Astaire Thumbing Nose, n.d.
1 For more description and discussion of this painting, see Kathleen Riley, The Astaires: Fred and Adele, p. 110. Available online HERE. 3 Fred Astaire, “She Was Framed,” TIME, 26 May 1958.